Looking at getting into fly fishing? 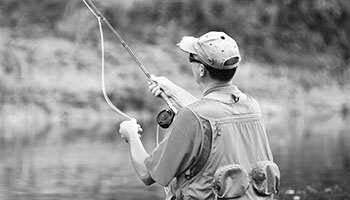 This four night course will get you ready to start catching trout in Southern Alberta's scenic foothills and mountain country. Learn what all the passion is about. First night introduces you to fly fishing. Emphasis is on equipment selection and how it all fits together; rods, reels, fly line, belly and pontoon boats, waders, boots and all the gadgets. Learn to tie all the needed knots. If you have equipment please don’t bring it to class until night 3 but taking notes in the first two classes is recommended. If you are thinking about buying new equipment please wait until after the first class. Second night introduces you to the bugs (entomology) and flies of fly fishing. What's on the menu for trout in Police Lake and the Crowsnest River? And what would the menu discussion be without a bit of time spent on Pike flies? How do you "read" a river and know where to cast your flies? How are Lakes different? Find out which flies work and why. Third and fourth night learn to cast or polish your technique. Bring your fly rod and learn the casting stroke and how to do it better. What are "slack line techniques" and why do we use them? What do I do if there is no room for a backcast? Learn the basics in a wind free environment and watch videos of the experts. Some materials may be needed and limited supplies are available from the instructor.